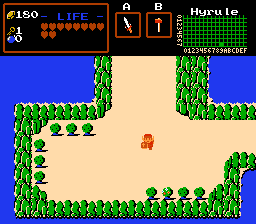 A plain, simple, and kinda difficult 9 level classic tileset quest! This quest is very old and I was very new to Zelda Classic when making it. I was too ambitious and the quest suffered as a result. Please don't use this to judge my abilities for future works. Thank you. This quest is called 100yrs. Made with ZC 2.10. I took a lot of care to make scenes vertical as well as horizontal. That is to say, that you climb up hill passages often. It makes for interesting play. The hookshot is available earlier in the game, and is an important part of the quest. If you enjoy classic zelda play, you'll enjoy this new quest in a ZQ pure tileset! This is my first upload, but at least the 10th finished quest that I've done. This is the orginal Zeldaclassic Quest from Nintendo, but it is translated in German! This quest is now compatible with 2.50. 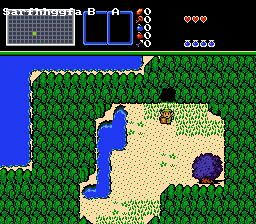 This is a remake of the 1st quest using the Zero tileset and changing up things a little. Game Info: This quest is a continuation of the other ones I've been doing, it is closer to Hyrule's Big Swamp, and Hyrule's Big Flood in its graphics. I've learned a lot about layering, and it shows here. There are some new ideas incorporated into the quest, and frankly, I'm a bit proud of the result. We played it through, and have found no significant bugs. Visually, I think this is one of the best quests I've ever done. So if you've been a fan in the past, this will not disappoint! This is the finished quest of my project fun quest. it includes 4 dungeons. 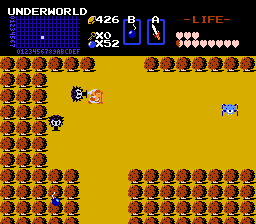 no overworld other than a small path to the 1st dungeon entrance, and no other side quests or plot or bullcrap, just 4 dungeons, the ending of one connecting directly to the entrance of the other. if you enjoy puzzles and linear quests, this will be perfect for you. 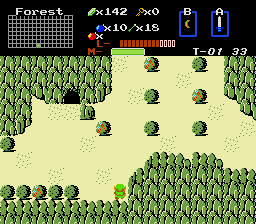 4 Temples (4T) is an NES-style miniquest with 5 dungeons. (4 temples, a the game boss's lair). The sequel to the original 4 Temples. 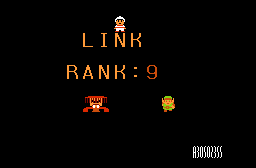 Features a Full-size overworld and 5 dungeons. 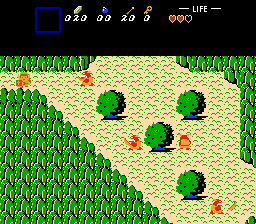 Link has to save Zelda again in this fourth adventure around the Land of Hyrule. And Yes the landscape has seriously changed. press start on the S tile to save!